Product Groups view allows user to group products into subgroups e.g. 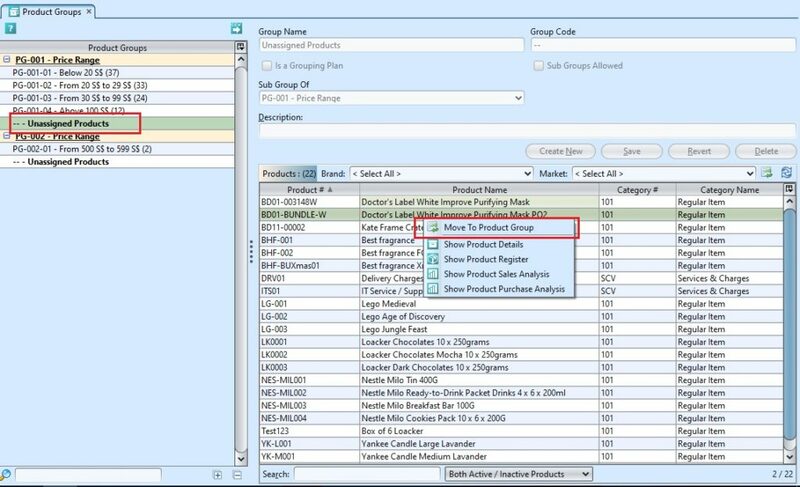 color, category / type, size, etc for multi-dimensions products analysis. 3. 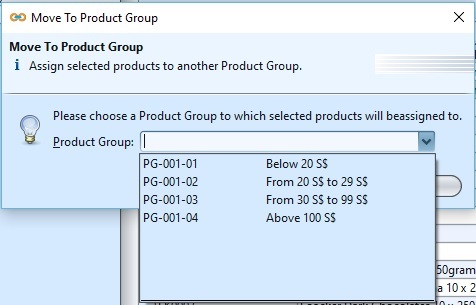 Optional: If the checkbox name “Is a Grouping Plan” is ticked, it allows user to define sub group under this product group. The checkbox “Sub Groups Allowed” will be automatically ticked once the “Is a Grouping Plan” checkbox was ticked. This grouping plan will now be available for selection as parent group in “Sub Group of” drop-down list for sub groups’ selections. 4. User must create sub groups under a grouping plan. These sub groups select their parent group from “Sub Group of” drop-down list. 6. 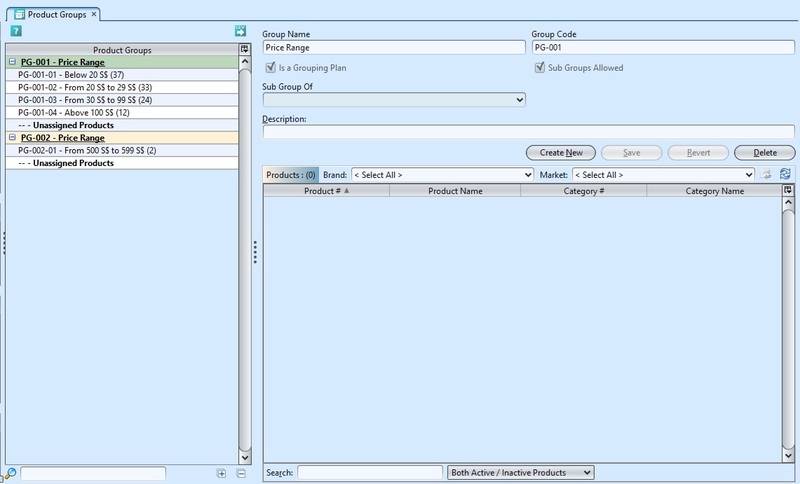 Select the product group on the pop-up window and click “OK” to confirm the selection. 1. Enter search parameter to filter the result, i.e. type in the group name in the search textfield box at the bottom of the screen.